Roberto P. Duran has played an integral role in the cigar industry for over 20 years and launched his own company, Roberto P. Duran Premium Cigars, in 2014. The Baracoa cigar line was created to fill the newly formed company's "every day cigar" niche, which it does impressively. Named after the Cuban city in which Roberto once lived, Baracoa cigars are handmade at the boutique cigar factory Nicatabaco SA in Esteli, Nicaragua, with the same quality and care as the company's premium cigar lines. The differences lie mainly in the less expensive packaging, which is a carton versus wood box, and the length of the tobacco aging process. 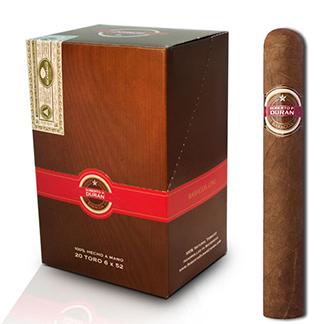 The blending of Nicaraguan filler and binder finished with an Ecuador Habano Criollo wrapper delivers a mild to medium-bodied smoke of classic, balanced flavors with pronounced nuttiness, hints of cocoa, and a light spice on the finish. The Baracoa is an enjoyable, expertly constructed cigar at a budget-friendly price.